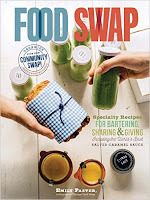 The Chicago Food Swap is excited to announce that the June swap will take place on June 23 at 2:30 pm. Our host for this event is Gallery 1028, a raw loft space on Goose Island. A huge thanks to Calihan Catering for letting us use this beautiful and roomy space. Gallery 1028 has over 4000 square feet of space and a raw, vintage feel. The good news is that Gallery 1028 is an enormous, open space and for the first time, we will not have to limit attendance due to space constraints! That's right: everyone who wants to attend can. While we still ask that swappers register in advance so that we know who to expect, we will not be capping registration at a specific number. So, spread the word. Bring your friends. We want to this to be the biggest and best Chicago Food Swap event yet! Registration is now open and you can find the link here. As always, it is free to register. 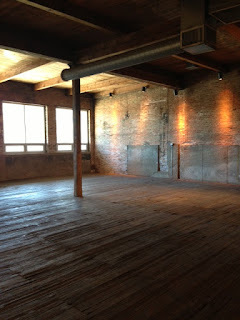 The bad news - if it can even be called bad news - is that Gallery 1028 is a completely raw space. That means no tables, no counters, no chairs -- no nothing! If you want a table to display your swap offerings, you will have to provide it yourself. We will not be providing any display space. If you don't have a portable table or other item to display your wares, do not despair. We hope that enough swappers will bring tables and can share those tables with others. We can use our Facebook page to coordinate efforts to share tables. The doors of Gallery 1028 will open at 2:30 pm to allow people to set up. As usual, the swap will begin at 3 pm. There is plenty of street parking available right in front of Gallery 1028. Thank you for understanding and for your enthusiasm! We are so excited to have the opportunity to accommodate everyone who wants to swap with no limits or waiting lists.